manage, buy, and sell private aircraft. Carriere & Little focuses its practice solely on aviation business legal services. We devote our time, research, and skill to create and draft solutions to our clients’ aviation business needs. From the letter of intent, tax planning and ownership structuring, through the purchase of the aircraft and set up of the operational structure, to the aircraft sale and like-kind exchange — Carriere & Little provides the expertise to guide our clients from purchase to sale and everything they do in-between with aircraft. • Acquisition of a new Global Express 6000 directly from Bombardier which included designing and implementing the ownership and operational structure for the owner. 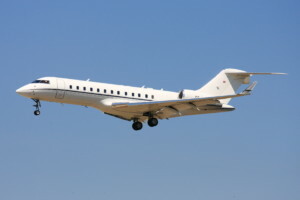 • Sale of a Dassault Falcon 7X as a trade in for the purchase of a previously owned Global Express 6000.